Alchemy becomes available to players at level 20. 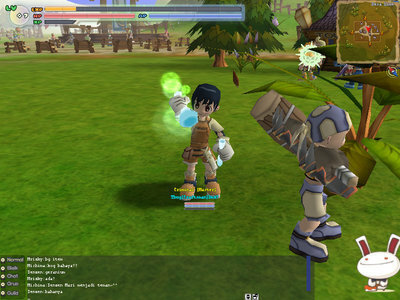 This skill allows players to create bombs, pets and various accessories. All items created via Alchemy need manuals to create them. Polymorph Rings are pet mounts that players can create using specific materials. The Polymorph Rings can be produced in various different quality grades, which determine the amount of durability the pet mounts will have. Durability determines how long the mount can be used until it expires. In Addition Players can create Bombs, these also come in different grades, which determine their stats. Alchemy manuals also requite certain player stats and Alchemy level in order to create those items.